An opaque, deep brown with a matte finish. It's a good quality, but I was a bit surprised at how dark it ended up being. Absolutely perfect for my eyebrows. I stopped coloring my medium brown hair so now it's completely white - more of a neutral white, not cool white. I have light olive skin and very, very dark brows with a bald scar at the arch of my left one. In my 60 years I've tried tons of brow products to fill that scar, all of which have ended up showing red tones despite the lack of red tones in the products themselves. BURNISHED BRUNETTE is perfection, I've been using it for over a year. It fills my scar and matches my dark brows. I also use this to tightline, wet-line and as a smokey eyeshadow. It's a deep dark matte grey that doesn't look at all blue nor does it look like a smoky brown....a perfectly neutral deep grey, softer than black but still as dramatic as needed. 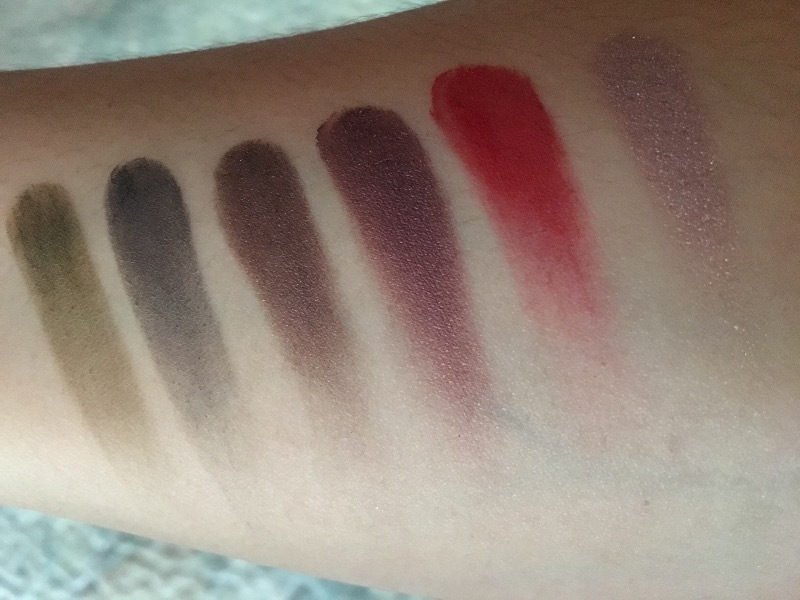 I like pigments in eyeshadows! it's wonderfull! !